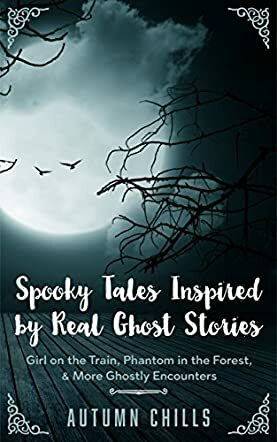 Spooky Tales Inspired by Real Ghost Stories by Autumn Chills is a collection of short stories that show just how fragile the boundary between life and death can be. Separated into ten different tales, each story is an account of an encounter with the supernatural, and will send delicate, yet uneasy shivers down your spine. From a woman dressed in blue, saying goodbye to a couple at a train station, to a grandmother who lovingly cares for her own, Chills gently pushes the reader into a labyrinth of illusion and reality, carefully interweaving our fear of the unknown with a comforting hope that there is something after death. While it may not be as gruesome as Thomas Flowers’s Feast, or as unsettling as Sandy Benitez’s The Rosegiver, Chills nevertheless takes her collection through relatable experiences that introduce an abnormal crack in our perceptions. There is something about this collection that made me feel hesitant, that made me examine every dark corner in my room, made me see things that forced me to question if they were just figments of my imagination, or something more. It made me remember my first time watching Paranormal Activity or Haunting. Chills crafted these simple, yet intriguing stories that made me scrutinize my childhood. The book is wonderful for young adult readers, as well as readers who are just getting into horror for the first time. As such, I would recommend it to those who enjoy Vampire Kisses by Ellen Schreiber or Abandoned Breaths by Alfa.